This long awaited trip feels like it has yet to start. 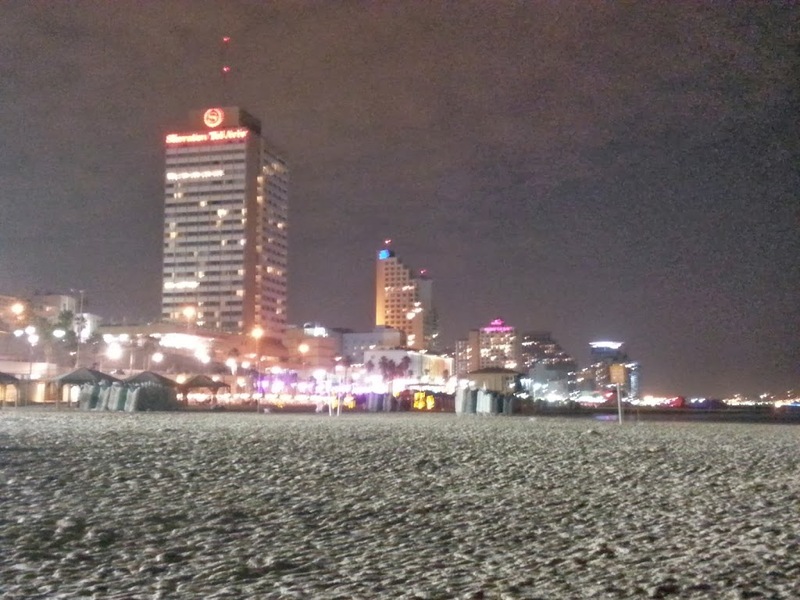 We are in Tel Aviv and it reminds me of Hollywood Beach, Florida. Yet, there are many telling differences. The hotel we are staying at is kosher. The elevators move up and down on their own. 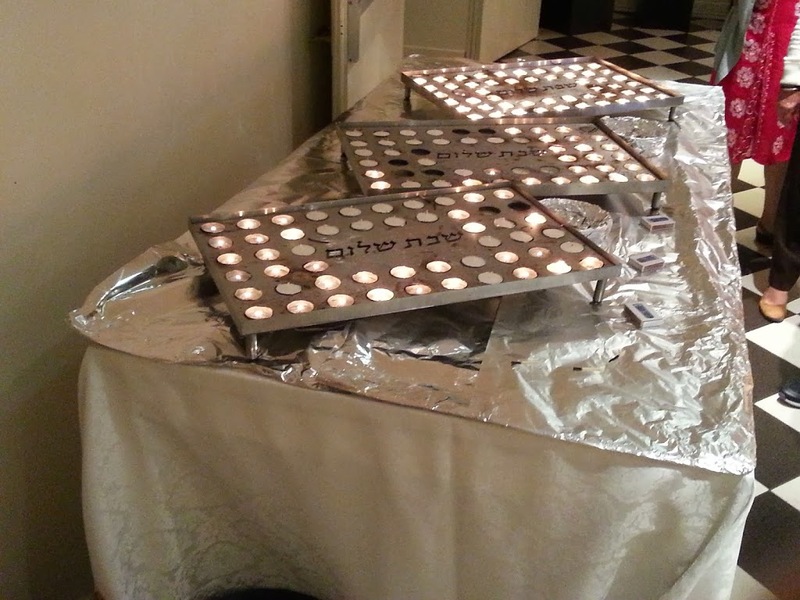 And at one of the entrances to the hotel there is a table with many candles on it – candles lit to welcome the Sabbath. To be honest, I felt a bit guilty that the hotel was working last night. The dinner buffet was magnificent. There was such a variety of food that I couldn’t even sample one of everything! I had lamb, which I haven’t had since I was a child. I remembered the flavor. It was my mother’s favorite, but I remember not liking it too much. Funny how your taste buds change as you get older. Very much like your taste for the things of the Lord as you grow in Him. The dessert spread also had far too many choices, but what I did have gave such joy, that I truly felt this was a special Sabbath. After dinner, my roommate Laura and I took a walk on the promenade. In Hollywood, we call it the broadwalk. As we stepped into the sand, it was so soft! It felt like talcum powder. And as we approached the Mediteranean, I knew we weren’t in Kansas anymore. Living in the United States, a fairly new country, we don’t have the connection to the ancient past as do many other places in the world. And here, in the land flowing with milk and honey, as modern as Tel Aviv is, the spirit of ancientness (if there is such a word) permeates. Our tour guide, Hillel, has 43 years experience. The ride from the airport to our hotel gave a small, wonderful morsel of things to come. He has so much knowledge! I am praying that the Lord will make me a sponge so that I can soak up all that he has to pour into me, not losing a drop, so that I can bring this precious water to you. And only here, in the land of Israel, does the tour start with the guide praying the Shema! Praise God!